Q: What is the role of music in The Asylum’s brand of filmmaking? Is there a particular musical format, formula, or style that is asked for – and have you experienced that chancing developed over the years as their films have blossomed in the public eye? Chris Ridenhour: The main criterion is that the music generally needs to be upbeat and keep the movie and drama moving forward. Usually the directors are fans of classic orchestral film scores, Jerry Goldsmith, John Williams, etc., which is great because I am as well. Melody and beautiful, rich orchestrations are my bread and butter. My only nemesis was when an editor temped action scenes with that same cue from THE DARK KNIGHT. I love Hans Zimmer but I never want to hear that THE DARK KNIGHT piece again (laughs)! But these days I’d prefer not to hear the editor’s temp at all, so I ask for the movie without it. Q: Have budgets, working conditions, and your ability to merge the occasional live instrument or voice with the predominantly synths & samples approach, changed in the half-dozen years you’ve been an Asylum composer? Chris Ridenhour: Not much. The budgets only allow me to afford a live player or two, but I mostly play all the live instruments myself. Q: How important is the role of music in these kinds of films? How much of a challenge if it for you to develop exciting music to give these pictures a sense of dramatic cohesion and aid with the audience’s suspension-of-disbelief (or is that even a factor in these types of films)? Chris Ridenhour: The movies are made and edited quickly, so it’s important that the music give it dramatic cohesion and momentum. It’s always a challenge, but I always try to give the movies and much love as possible. I never want to let the audience or the fans down. I always give it my best. Also the producers and directors always give me great notes when needed. Q: You scored the first of these with MEGA-SHARK VS. GIANT OCTOPUS and the subsequent MEGA-SHARK and MEGA-PIRANHA movies. What kind of musical approach have you taken with these particular MEGA movies and their overgrown menaces? Chris Ridenhour: With the shark movies, it is fun to create totally over the top bombastic orchestral music with sweeping themes. Along with that, I need to keep the action and momentum going. If the music is serious and the action is an insane situation, like a shark eating the Golden Gate bridge, then that’s comedy gold. Q: Do your scores for the MEGA-creature movies and sequels have anything in common with one another, or have you approached each one as an individual entity? Chris Ridenhour: Not really, but I wish I had planned them out that way. I intended to reuse my theme for Debbie Gibson’s character in the third MEGASHARK, but I didn’t get a chance to score that one as I was working on a couple other movies at the time. 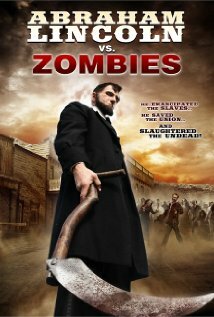 Q: Your score for ABRAHAM LINCOLN VS. ZOMBIES, which is also a superior Asylum film despite its being derivative of a big-budget movie. Your both fits the action and the historical period, appropriately incorporating folk tunes to the zombie battlefield (and in so doing gives “When Johnny Comes Marching Home” a whole different flavor when accompanying hordes of shambling undead). Would you describe your approach to scoring this film? Chris Ridenhour: Thank you; that is one of my favorite Asylum movies. That score was a collaboration between me, Chris Cano and Andrew Morgan Smith. We only had a week to score Abe (and I was also working on AMERICAN BATTLESHIPS at the same time) but everyone brought their A-game and we had a blast. When I started that movie I thought of the Abe theme while in the shower and almost killed myself tripping and reaching for my voice recorder! That theme is my best one I think. The director, Richard was very passionate about the characters and it really showed. He was great to work with. 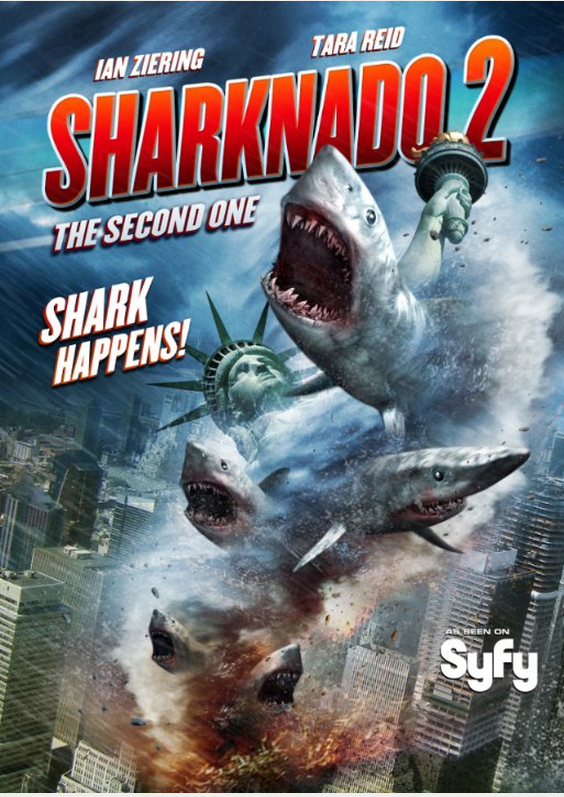 Q: How did SHARKNADO 2 arrive in your film scoring lap? Chris Ridenhour: It’s a funny story. I had been working for Asylum for years and years cranking out score after score and then I decided for the first time to take a couple months off. 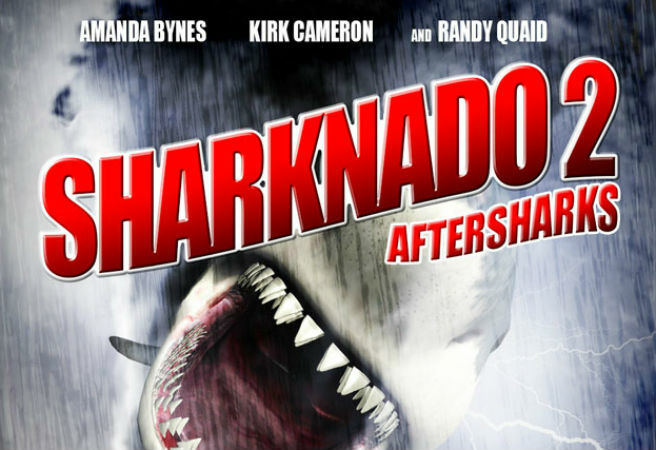 Of course, during that time the first SHARKNADO comes in and becomes a huge pop culture sensation! So getting on board for the second one was a real blessing, and I’m very grateful to be a part of the franchise. Now when someone asks me what I worked on I can answer: SHARKNADO 2 and they’ll recognize it! It’s a great feeling after so many years of hard work. Q: How closely did you work with director Anthony Ferrante on establishing the musical direction for this picture? Chris Ridenhour: Anthony was great in allowing me to pretty much do my thing, but he also had very specific dramatic ideas which were always great and helped me out a great deal. He really put his stamp on the movie in every way and gave it a great New York quality. Writer Thunder Levin was wonderful to work with as well – he is a great friend and one of my biggest supporters. 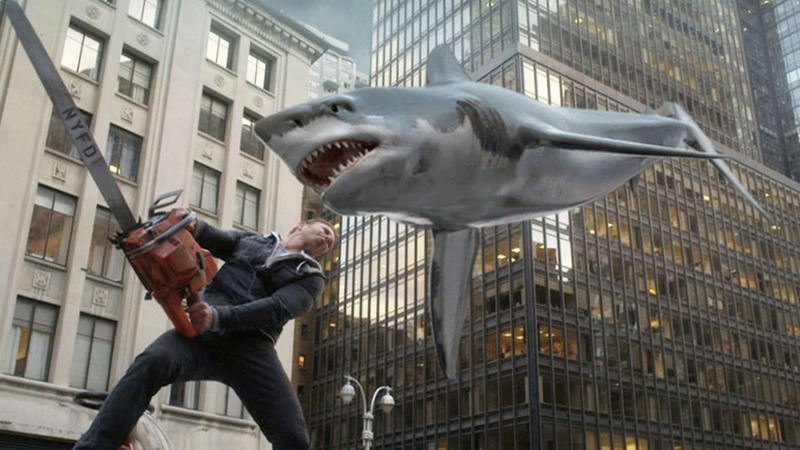 SHARKNADO 2 is like a love letter to New York City. Q: The first SHARKNADO film was hugely successful, surprising many critics who just didn’t get it. What challenged you the most in working out the score for its sequel? Chris Ridenhour: To be honest, I had a hard time starting S2 because I was very intimidated by the success of the first film. Usually I’m just flying under the radar, but I knew every detail of this was going to be scrutinized. However, once I dived in I was having a blast. Q: Would you describe the musical components, instrumental palette, and thematic orientation of your sequel score? What musical elements are central to this score and how have they developed across the arc of the story? Chris Ridenhour: The main thing I wanted was a great theme for Ian’s character Fin. That was the first thing I wrote. The theme also had several variations that were used as his love theme with Vivica and Tara’s characters. The theme first appears when Fin is having a quiet moment in the plane, weaves throughout the film in many dramatic sections and then totally blossoms with big orchestra at the end when he saves the day on top of the Empire State Building. I also wrote a brassy theme as a personal tribute for the NY firefighters which is also developed in the big moment with Fin on top of the fire truck cutting the shark in half. The whole ending of the movie came out great, I’m super happy with it. Q: SHARKNADO 2 references several other films (especially in its terrific opening sequence) and features some in-joke casting and plenty of New York personalities in cameo roles. Are there any musical in-jokes in your score or references to these amusing elements in the script or casting? Chris Ridenhour: At first, I thought about doing some kind of homage to JAWS but I chickened out. You can’t outshine the master. If anything, I wanted to try and do something special and give the film a classic type score and try to avoid all the usual movie music clichés as much as possible. I wanted it to have a classy but contemporary feel. Q: How long does it generally take you to score a film like SHARKNADO 2, from first spotting discussions through to recording and mixing (and is that done in your own studio)? Chris Ridenhour: Usually only a week to 10 days. With S2 there was more time and a few versions of the movie. The extended theatrical/DVD cut is the best one. The music mix is much more upfront and powerful. I can’t wait to see it on the big screen. Q: You’ve worked with Chris Cano on several Asylum scores previously? What was the manner of your collaboration on SHARKNADO 2 and how did your work together on the score? Chris Ridenhour: When you only have ten days to score a 90 film with wall to wall music, it’s a huge physical and emotional undertaking especially when you have to crank them out back to back year after year! Cano has been my wing-man for several years working alongside me with several scores. Sometimes we split the movies. Collaboration really helps alleviate the deadline stress. In addition to Chris Cano, I also had my good friend Eliza Swenson join in on the fun. S2 was the biggest moment of my scoring career and I wanted to share it with my closest friends. It always feels magical to work with them on any form of music. It’s really a dream come true for me. Chris Ridenhour: At the moment I’m starting a WWII movie called ARDENNES FURY which I will be scoring on my own. Cano will score the next movie, then we will team up again later in the year. Eliza and I are also hard at work on a new album for our band The Divine Madness. I’m very excited about that. Q: What kind of recognition have your work on SHARKNADO 2 (and/or the other Asylum films) given you? And is that a good thing or a bad thing? Chris Ridenhour: It’s all good. I personally enjoy it all. The best part for me is how my family and friends get into the fun of everything. My sister called today and was telling me about how she is telling her friends that her brother worked on SHARKNADO 2. The other great thing was taking my daughter to the premiere. That’s what matters to me. I like being in the business of making people happy and entertained. If we can make some people laugh, have fun and feel good from time to time and make the world a happier place, then so much the better. I’m honored to be a part of it.